In John, Jesus makes seven “I am” statements. In this series, we will look at each one in turn, but first let’s look at the name Yahweh (“I am who I am”). There is great significance in Jesus’ use of God’s covenant name! What did Moses ask of God in verse 13?….He asked him, “What is your name?” In ancient times names were extremely important. A name embodied the entire being, the whole person. “What’s in a name?” Juliet asked. EVERYTHING sweetheart! This was a bold move on Moses’ part, I believe. No other patriarch, no other Israelite had dared to ask the Almighty God of the Universe what his name was. This was getting personal folks! What’s great is that God doesn’t reprimand Moses nor squish him into dust! But what God does do is somewhat surprising! First of all, he tells Moses His NAME! God does not give Moses a title, no he gives him His Name! (Sorry don’t mean to harp on it but it is huge.) He tells Moses, “I am, I was, and I will be.” Yahweh or Jehovah or YHWH (or LORD, as most modern translations, sadly, render it). 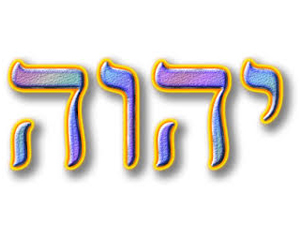 Second, Yahweh, tells Moses, “This is my name forever, the name by which I am to be remembered from generation to generation.” Knowing this, do you think that it was important to God that His people knew and used His personal name? Umm yeah!